Vicente Montalvo’s grandparents grew up and fell in love in Palo Verde, one of the neighborhoods that make up a community known as Chavez Ravine. In the early 1950s, the city decided that Chavez Ravine was the perfect site to build public housing. So the residents were forced to sell their homes under the city’s use of eminent domain. But the election of a new mayor, would end up canceling those plans, and instead the land would become what many know today as Dodger Stadium. This segment was originally broadcast on November 3, 2017. 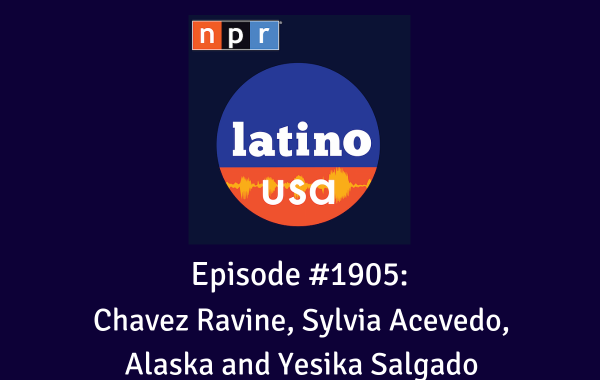 Also, a conversation with Girl Scouts CEO Sylvia Acevedo, and two of Latino USA’s “How I Made It” segments featuring singer Alaska on the LGBTQ anthem “¿A quién le importa?” and L.A. poet Yesika Salgado.